It’s the little things that count. And this one particular little thing I love and am known for loving is Frozen Chocolate Pie. My Grandma Rouse made pies for us ahead of time so when we arrived at her Bolivar, Tennessee, home she was prepared…as prepared as a grandma could be with eight grandchildren storming in from her one and only daughter! I can close my eyes and see the yellow, black, and silver vintage now kitchen table–wait maybe I’m standing in Carrie’s kitchen because she has that treasure! But the great memories flashing in my mind of controlled chaos and eating the chocolate pie before it had the chance to thaw. I am keeping her memory alive. 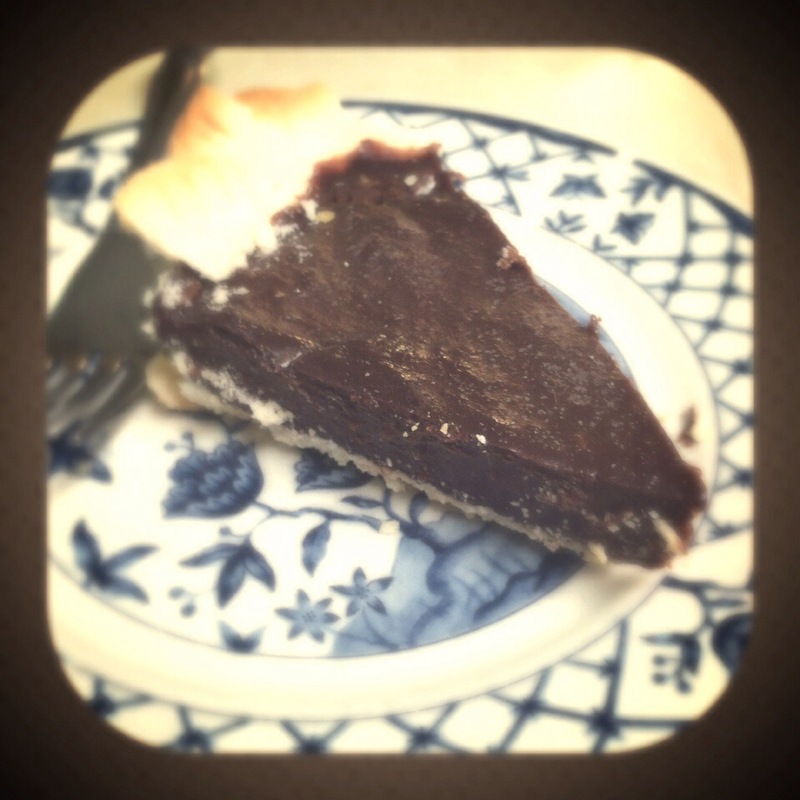 We got into town and there was this text from my parents: “Dad made a chocolate pie for y’all.” Who are we kidding. It’s for me! Of course we were headed that way. Were going anyway. No pie needed. But they sent us home with the leftovers and you know what? I placed it in the freezer and had frozen chocolate pie for breakfast! Thank you dad! I Love You and the memory of this! This entry was posted in It's What We Do, SteveCarrieKeynaPattiBillBethJohnJim, Uncategorized. Bookmark the permalink. And I watched you eat it! Looked sooooo good! Done. I’m Fine Dying On This Hill. Not You Too Cole! Happy Twenty!